Rick Collingwood hypnosis CD are world renowned and have won many aria awards. 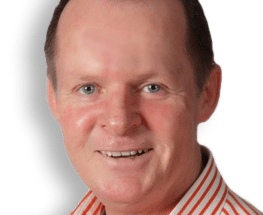 Rick is one of Australia’s leading clinical hypnotherapists with an extensive range of hypnosis CD’s that cover a wide variety of self help titles. Each program has been tried and tested for many years with fantastic results. Deep relaxation and significant shifts in your mind and body can now be achieved in the comfort of your own home. Many people fear hypnosis as they feel they could not be in control while under the hypnosis. There is nothing to fear as you are always consciously aware and your sub conscious mind will never allow any harm to come to you through hypnosis as this is our built in protection mechanism. Rick has also recorded a range of sleep stories for Children that have also proven to be extremely effective when used correctly. They are recommended for children from ages 3-12- click here to see the range. Through personal experience with my own children, the adult CD’s can be used from around the age of 7 if needed. To find out about Autism and Aspergers and how hypnosis can help click here.